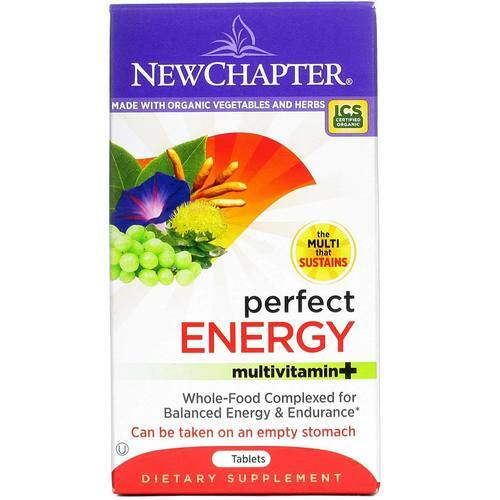 The all-natural blend of Perfect Energy by New Chapter is formulated with the antioxidant grapeseed extract and whole-food complexed vitamins and minerals. 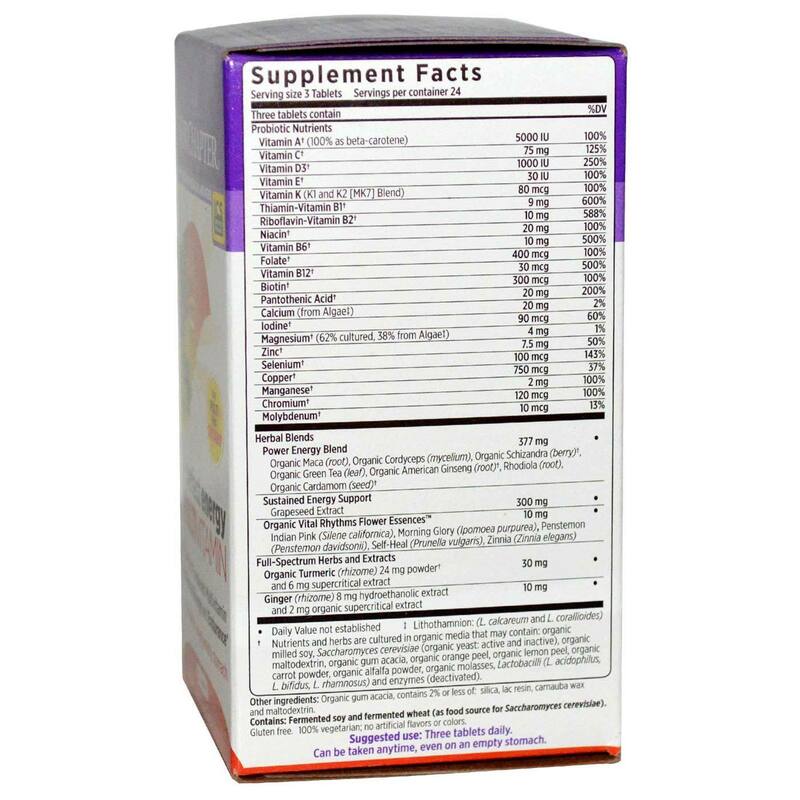 Advertências: As with any dietary or herbal supplement, you should seek the advice of your licensed health care practitioner of the use of this product before using. If you are nursing, pregnant, or considering pregnancy, you should consult your licensed health care practitioner prior to using this product. Keep out of the reach of children. Notas: Contains fermented soy. Naturally gluten free. 100 percent vegetarian. Contains no artificial flavors or colors. Recomendações de uso: Take 3 tablets daily. Can be taken anytime, even on an empty stomach.